Are you out of coriander or not a fan of the way it tastes? To find a proper substitute for coriander, you first need to understand what your recipe means by "coriander." In the United States, coriander typically refers to coriander seed or ground coriander, while cilantro is the term used to refer to the fresh leaves of the coriander plant. In the United Kingdom, however, "coriander" refers to the fresh leaves, and the seeds are known as coriander seed or ground coriander. Confusing? Definitely. But once you understand what your recipe is asking for, finding a substitute is a snap. Replace the coriander called for in your recipe with an equal amount of fresh parsley, tarragon, dill or a combination of the three. For maximum flavor, add the herbs to the dish just before serving it. Cooking diminishes the flavor of the spices significantly (cilantro included). These substitutes work best when you're using the cilantro as a garnish. If the recipe you're working on calls for a large amount of cilantro, consider making something else. Replacing the cilantro that's supposed to be sprinkled on top of a finished dish is very different than replacing the spice in a recipe like chimichurri, where the finished product is almost 50 percent cilantro. Note that dried coriander leaf isn't a good substitute for fresh. It loses much of its flavor when it's dried and incorporates into the dish quite differently. If you don't have any of the suggested fresh herbs on hand, just leave the cilantro out. Your recipe should still taste fine without it. 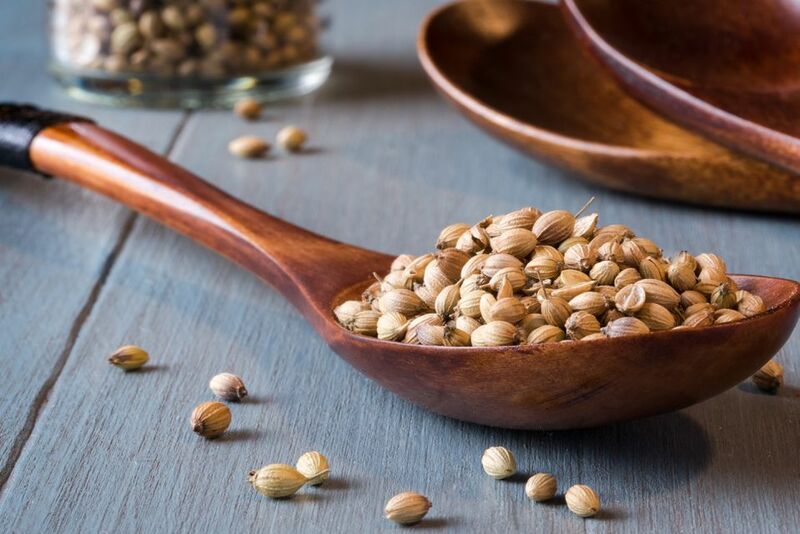 Replace the coriander seed or ground coriander called for in the recipe with an equal amount of caraway seeds, cumin, fennel or a combination of the three. Replace every teaspoon of coriander seed called for with 3/4 teaspoon of ground coriander. Since ground coriander loses its flavor quickly, you may find it necessary to add more ground coriander to the dish to achieve the intended flavor. Do a taste test, and adjust the quantity as needed. If your recipe calls for ground coriander, and all you have is coriander seed, grind it with a coffee/spice grinder or a mortar and pestle. If you don't own either, the seeds are soft enough that you can grind them with a rolling pin. Just place them inside a sandwich bag, and roll over them until they're ground up. This will give you a coarser grind than a spice grinder, but that's OK. Since ground coriander loses its potency quickly, aim to grind only what you need for your recipe. Whole coriander seeds store much better. In addition to coriander swap-outs, you'll find it useful to learn about ingredient substitutions for a variety of other dishes and recipes. The more you learn about using—and substituting—spices, herbs, and other ingredients, the fewer trips you'll have to make to the store, and the more you'll save.